All of the Newport Pet Clinic veterinarians have terrific veterinary skills with incredible bedside manners. You will experience the highest standard of medical care and yet feel as though you just made a new friend. Please stop by any time to meet our doctors. "Treat the patients as though they were part of our own family and provide personalized attention to the concerns and questions of our clients." His philosophy and legacy lives on at Newport Pet clinic. 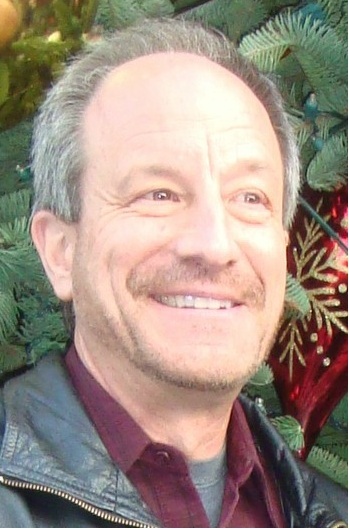 As a native Southern Californian, Dr. Burhum attended veterinary school at Western University of Health Sciences. She then gained a tremendous amount of experience under great mentorship at a large practice where she worked for 6 years. 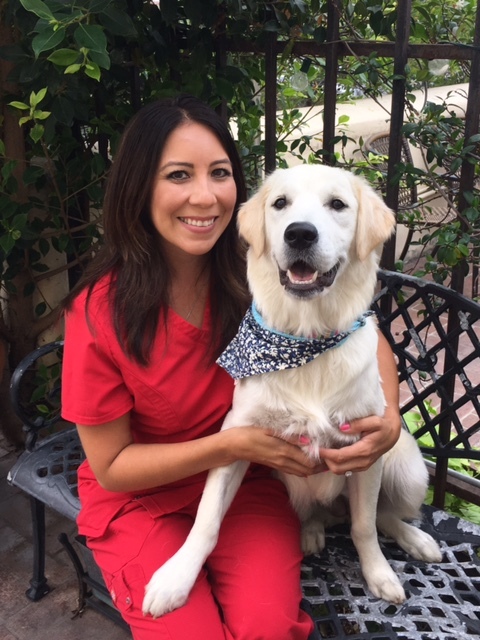 Interested in working closer to home, Dr. Burhum started working as a relief veterinarian in Orange County. This is how she came to meet Dr Bass and Bonnie. It was an immediate fit and she joined the Newport Pet Clinic family in October of 2015. Dr. Burhum loves the client centered approach and family feel of This home town type clinic. (because kitties only ALLOW you to live with them) and the newest addition to the family baby Sofia (baby of the human kind). Dr. TaMarra Woodling graduated from the University of Missouri College of Veterinary Medicine in 2005 and completed an internship in New Jersey before ultimately settling in Southern California. She has worked in both general practice and emergency settings, from small clinics to large specialty hospitals, relief work and overnight shifts. TaMarra chose to join Newport Pet Clinic due to the caring and dedicated staff and the personalized attention given to each client and patient. Dr. Woodling's special interests include emergencies, internal medicine, surgery, and dental care. She believes that there is an opportunity to learn something new every day, and finds client education and compassionate patient care to be the most important aspects of her work. TaMarra spends her time away from work exploring new activities and destinations with her family, especially ones that involve nature, museums, delicious food, farmers markets, used bookstores, and the new family chameleon (name to be determined). Dr. Nicole Beaudet received her veterinary degree from Western University of Health Sciences, Pomona, CA. 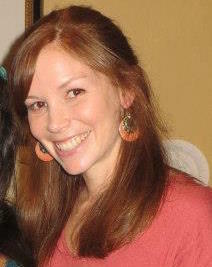 Her professional interests include pet behavior, internal medicine, exotic animal medicine and wildlife rehabilitation. She has, and continues to, work in general practices as well as with wildlife and zoo medicine. She loves the everyday interactions with pet owners and meeting new people. She loves being a part of the Newport Pet Clinic family and meeting all the amazing people and their pets. Some of her accomplishments have included studying wildlife medicine in South Africa, studying ornithology in Costa Rica as well as researching frogs in Costa Rica. She lives in Anaheim with her husband, two children, a Boxer, Corn Snake, Bearded Dragon, and an aviary full of birds. Her favorite hobbies are gardening, hiking, discovering new music, reading, and taking her children to Disneyland! Mrs. Gracia has been involved with veterinary practice operations and management for 28 years. 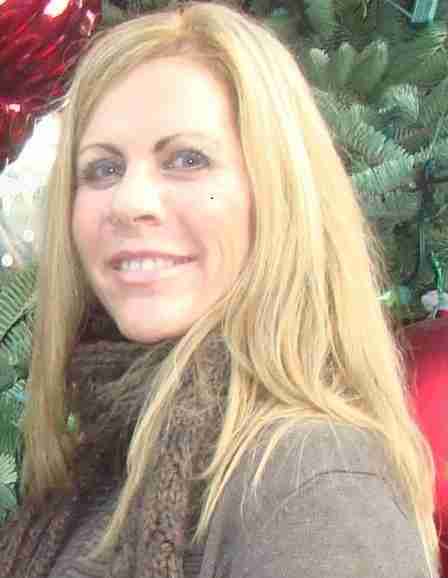 Previously, Bonnie has managed 2 very busy small animal practices in Irvine, CA. A true native Californian, Bonnie has lived in Orange County all of her life and now resides in Old Town Orange along with her husband and a large breed Terrier mix. Bonnie is well known for her compassion, attention to detail and a true love for her job. You may wish to avoid feeding your pets prior to your visit since Bonnie is guaranteed to offer some 'treats du jour'. She loves animals and it shows! Clients with whom Bonnie has interacted, during her many years in the Veterinary 'World', will attest to the fact that she truly embraces the concept of Customer Service. You will appreciate her smile and enthusiasm as well as her knowledgeable answers to your questions. Be sure to ask her about her vegetable garden. She may just share her photos of her 7 lb turnip or a 'bowling ball size' avocado! After a long search, we were lucky to find our Licensed Veterinary Technician, Lisa (seen with her daughter Daphne). Lisa has been working in the veterinary field for 16 years and has experience in both Large Animal and Small Animal Veterinary Practice. After working for practices in Texas for a year, Lisa moved to Arizona where she worked primarily with Small Animals - Dogs and Cats. 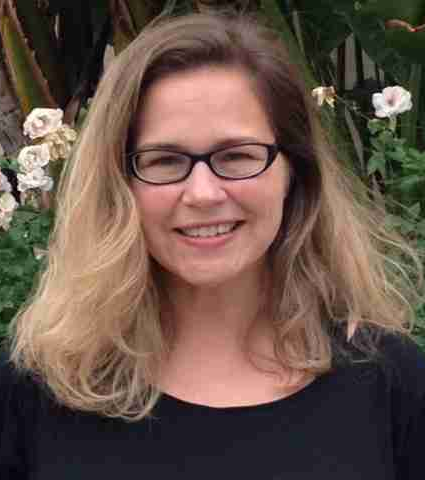 As a California Native, Lisa was anxious to move back to Southern California which lead her to apply for a position with our clinic. She landed the job on the spot and we now benefit greatly from her caring and expertise. Lisa has indeed been a great asset for our clinic. She now enjoys the Southern California lifestyle, living in Huntington Beach, with her hubby and their 6 month old golden retriever, Daphne. They finds that long walks on the Beach - the Dog Beach that is - offer great bonding times. Emily was born and raised right here in beautiful Orange County. She knew early on that she wanted to pursue a career that would permit her to help people. 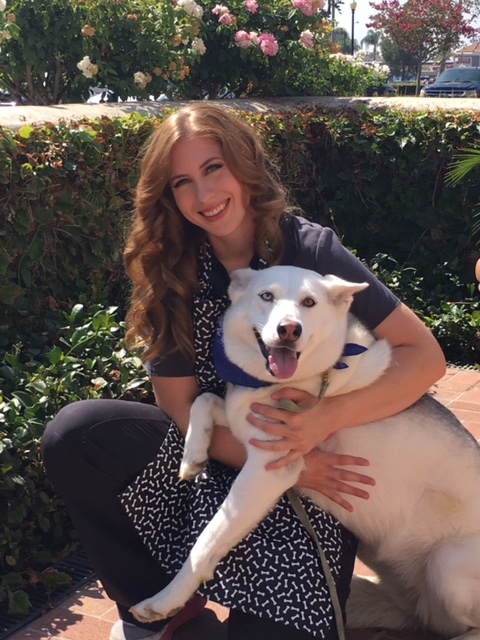 For four years, Emily attended Irvine Valley College studying nursing but soon found that her true passion was working with animals. This brought her to the realization that she could have the best of both worlds; helping people by helping them take care of their furry, four footed family members. Emily lives with George, her 13 year old Golden Retriever, as well as a very fancy Oranda Goldfish named Petey. She says that one day she'll find the perfect cat to round out the family. When she is not at work providing excellent care for our clients and patients, Emily enjoys the beach, scary movies and going to Las Vegas. We are very fortunate to have Emily as part of our Newport Pet Clinic family. 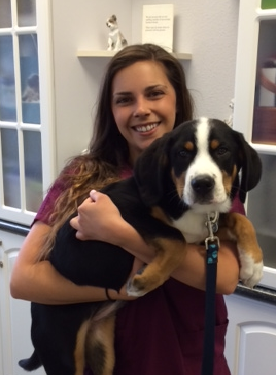 We are so excited that Jordyn is a part of our Newport Pet Clinic Family. When Jordyn was just 18 years old, she began her journey working in the animal field. For a brief time she began working in the OB/GYN, but very shortly after that she realized her true passion was to help animals and clients (who wouldn’t miss these 4 legged cuties?). Jordyn is a born and raised Southern California girl. Both of her parents grew up on farms, therefore she was raised around quite the variety of animals such as Chickens, Raccoons, Bengals and Dogs. She now resides locally in Tustin with an 8 year old Bichon Poodle Mix named Charley, a colorful Betta fish named Jimmy and last but not least, her wonderful husband. Jordyn and her husband enjoy going to the beach, traveling and fishing, especially when Charly gets to come along! We are very proud to have added Katie-Ann to our family at Newport Pet Clinic. Katie-Ann comes to us with 11 years of experience as a professional groomer and looks forward to many more years to come! She is so skilled at her craft that people have come from miles around to book an appointment with her. Katie-Ann began her journey in grooming school just one month after finishing high school. She has groomed countless dogs and her hard work definitely shows! She has become quite the expert at performing all breed cuts and is happy to take on special requests! Its hard to say which breeds she specializes in because when they leave her salon they all look fabulous!!!!!! Katie-Ann is a local girl residing in Tustin with her family, along with her beautiful Shepherd Husky mix, "Sky" and of course her mischief making kitties Ryu and Little Kitty. When Katie-Ann is not beautifying the little ones at Newport Pet clinic you might find her on a hike in the canyons, playing volley ball or simply relaxing, practicing the art of Yoga.